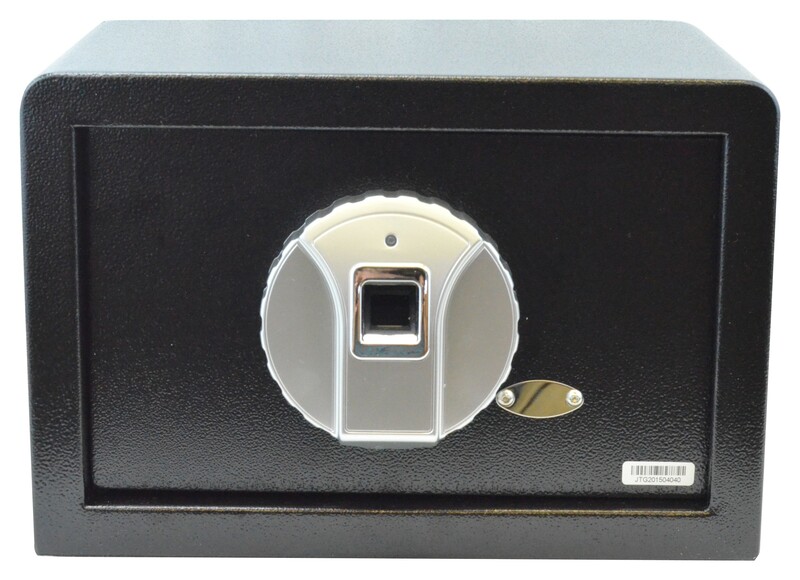 Boomstick Gun Accessories presents the latest tool to add to your arsenal, the compact biometric fingerprint safe. Perfect for storing a handgun, extra cash, jewelry, or even important documents such as passports or titles / deeds. Boomstick Gun Accessories presents the latest tool to add to your arsenal, the compact biometric fingerprint safe. Utilizing biometric technology you the user have the ability to quickly and efficiently access the contents at a moments notice. No more fumbling with keys or having to remember that pin code you came up with 3 years ago that has long since been forgotten. One simple touch of the finger and boom, you're in! Internal dimensions measure 11 1/2-inches x 5 3/4-inches x 7 3/4-inches which is perfect for storing a handgun, extra cash, jewelry, or even important documents such as passports or titles / deeds. Factory holes are already drilled in the bottom so that it can easily be mounted to the floor or wall with the included hardware. Also included are a set of emergency backup keys, 4x AA batteries, and Allen key, and a protective insert that goes in the bottom to help better protect your valuables.